Tags: "Annie's Blue Ribbon General Store", "Apple a Day Calendar"
Sorry for my lapse in posts- it’s been crazy busy at the shops (did you see the POP UP on the News last week? Check it out here…) but we got in this great APPLE A DAY LETTERPRESS CALENDAR and I am obsessed! 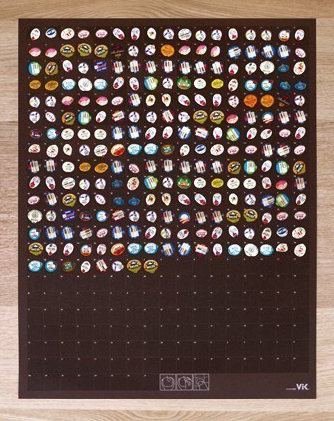 It’s 18″ x 23″ with a space for an apple sticker every day- so you will be healthy the whole year through. Fun gift! $25. p.s. if you are in NYC, come to our POP UP SHOP party- December 1st 6-8pm, 2408 Broadway. Shopping, discounts, treats and more!! Hope to see you then! Bea-u-ti-ful! We’re NEW YORK MAGAZINE’S POP UP SHOP OF THE WEEK!!! Tags: "Annie's Blue Ribbon General Store", "New York Magazine", "Pop Up Shop of the week"
Check out some great press about the Pop Up Shop from New York Magazine– YEAH!!! In the Best Bets section of the magazine they called us POP UP SHOP OF THE WEEK!!!! 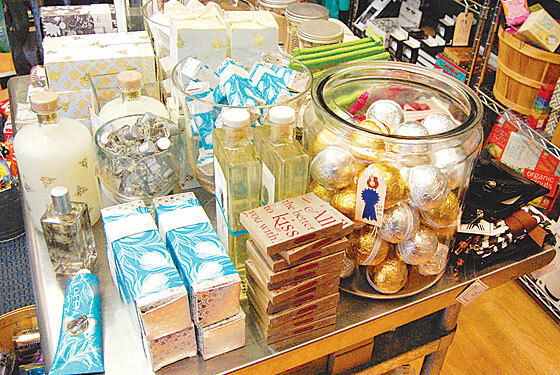 They used a BEAUTIFUL picture Christopher took of our Beauty table in the Brooklyn Shop. Everything in the picture is available online too, check out our updated and upgraded BEAUTY section!! Tags: "Annie's Blue Ribbon General Store", "DailY Candy New York", "DIY Shower curtain", "inflatable Fruitcake", "Star Gazers Kit", "The Field Guide to Typestaches", "Tiny tarot Cards"
Inflatable Fruitcake– these are HILARIOUS!! 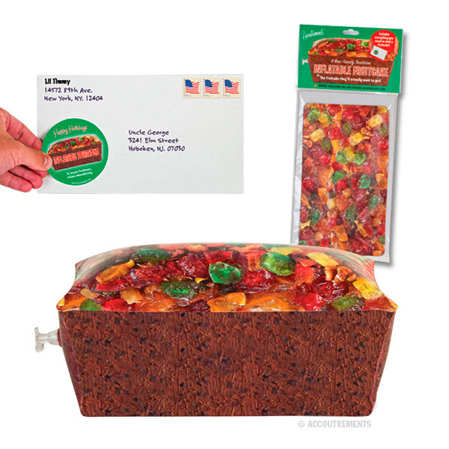 We sold out this afternoon with a mad rush of Daily Candy orders, but are checking if more are on their way. They are $7.95 and come with an envelope so you can even mail them! 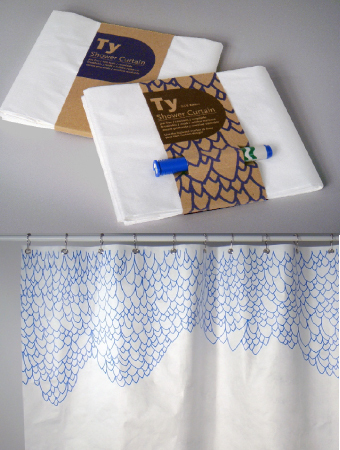 Our DIY Shower Curtain– mildew and mold resistant, washable and you can decorate it yourself! $33. 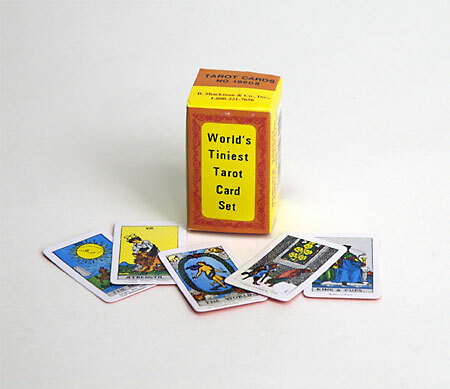 Tiny Tarot Cards, for really big fortunes ANYWHERE! $5.50. 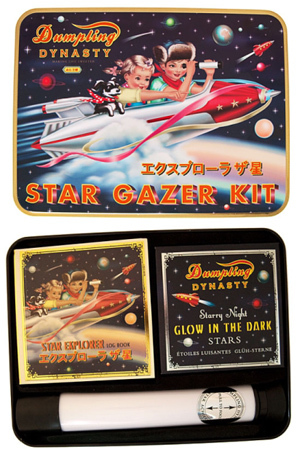 Stargazer Gazer Kit! Fun! Includes a telescope, glow stars, Stargazers log book, all in a cute reusable tin! $19.95. 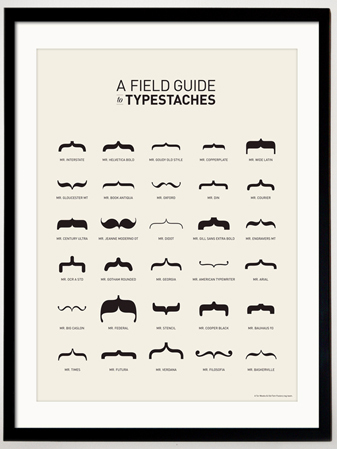 And finally, The Field Guide to Typestaches— clever poster with mustaches depicting different fonts, $24. Time Out New York’s Holiday Gift Guide! And they wrote about our POP UP SHOP! Tags: "Annie's Blue Ribbon General Store", "nesting cups from Kido", "Time Out New York Holiday Gift Guide"
Our very fabulous Nesting Cups for Kids made their way into Time Out New York’s Holiday Gift Guide- wahooo! They even gave a nice shout out to Ben, the designer, who actually lives in our Brooklyn neighborhood Boerum Hill (he’s even been to the shop with his dog!). Thanks Time Out! Plus they wrote about our new POP UP which will open shortly on the Upper West Side (2408 Broadway). 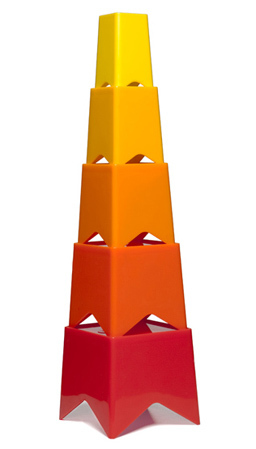 Get some of these nesting cups in warm colors or cool colors- $12 for set of 5. Lots of other great Bath/Baby/ Kids ideas online too. Tags: "Annie's Blue Ribbon General Store Holiday POP UP", "Annie's Blue Ribbon General Store"
It’s an exciting time at the shop! Last evening was our Annual Holiday Preview Shopping Party- Jess made blue & green snowflake and star cookies, we had proseco & wine, lots of great shoppers got 20% off and a free Annie’s tote bag. Yeah!!! We’ve been soo busy we forgot to mention it on the blog, but if you are on our mailing list you got the email. Thank you ALL for coming out for a GREAT night of early Holiday shopping!! And today we started to move in to our POP UP SHOP- wahooo!! It is on the Upper West Side in Manhattan. 2408 Broadway to be exact, between 87th and 88th. It is giant! About 3 times the size of the Brooklyn store and looking good, if I do say so myself. We had all hands on deck today getting it ready and hopefully we are a go for an early opening on Saturday (versus the 11/22 opening we have been telling people). Look for write ups in Daily Candy this Sunday, New York Magazine next week and Time Out New York too. VERY EXCITING!! We will be open there every day until Christmas from 11-8 (till 7 on Sundays). Jess is holding down the fort in Brooklyn but we’d love to see you either way. 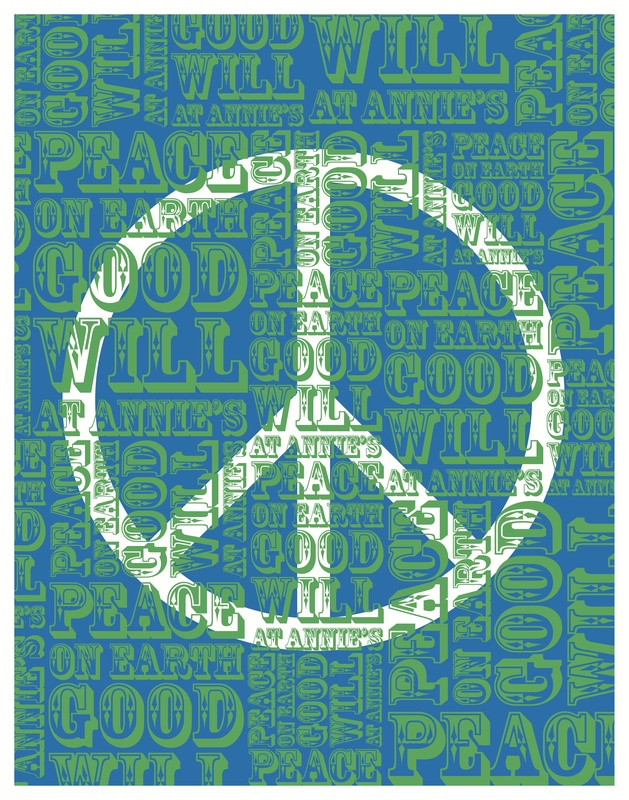 PEACE ON EARTH, GOOD WILL AT ANNIE’S- that’s our motto this Holiday! Hope to see you all soon! 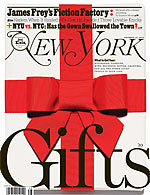 New York Magazine Gift Guide is out–and we’re in it!! New York Magazine is once again showing us some love in their Holiday Gift Guide! They chose to feature two of our favorites- Wrestler Matryoshkas and the Phrenology Head Wrap Sheet. We love New York Magazine! These sheets are great for wrapping presents or covering books, but we think they’re perfectly frame-worthy. 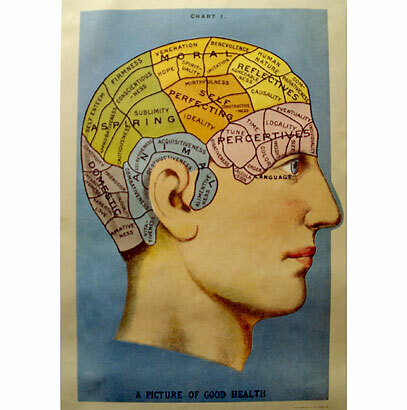 They also make a great gift–perfect for the psuedoscientist or student of human behavior in your life. As many of you know, we’re crazy about all things matryoshka and lucha libre, and these clever toys offer the best of both worlds! We even had two lovely sisters from Toronto come visit us on a shopping trip, specifically for these dolls. One’s son fell in love with his sister’s matryoshkas, and wanted a more masculine set of his own. Wrestler Matroyshkas to the rescue!! Tags: "Annie's Blue Ribbon General Store", "iVillage 50 Under $50: Gifts for Him", "Man Can", "Organic Salvage Candles", "Saturday Night Live Game"
We love you iVillage! 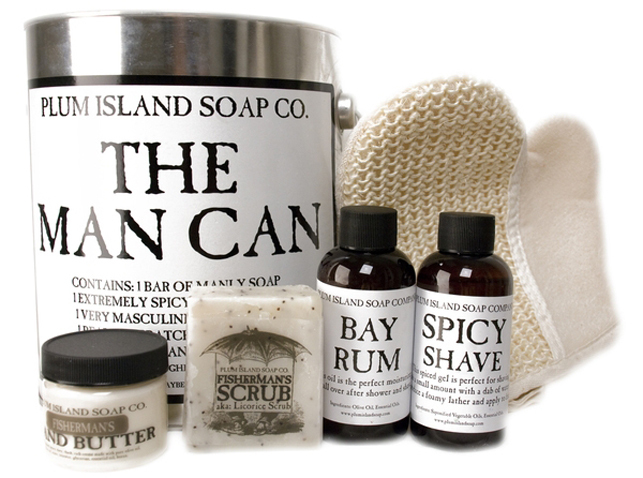 We got a few nice mentions in the 50 under $50: Gifts for Him gift guide that just went live on iVillage.com– including our Man Can, above- which has lots of great stuff to keep your man looking good, including Fisherman’s Hand Butter because let’s face it “there’s nothing tougher than a fisherman- except maybe a woman” (clever wording on the outside of the can). Man Can– $48. 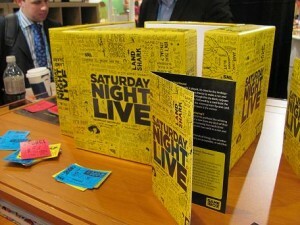 And then there’s the awesome Saturday Night Live Game– fun times, and great gift for the guy who’s hard to buy for- $30. 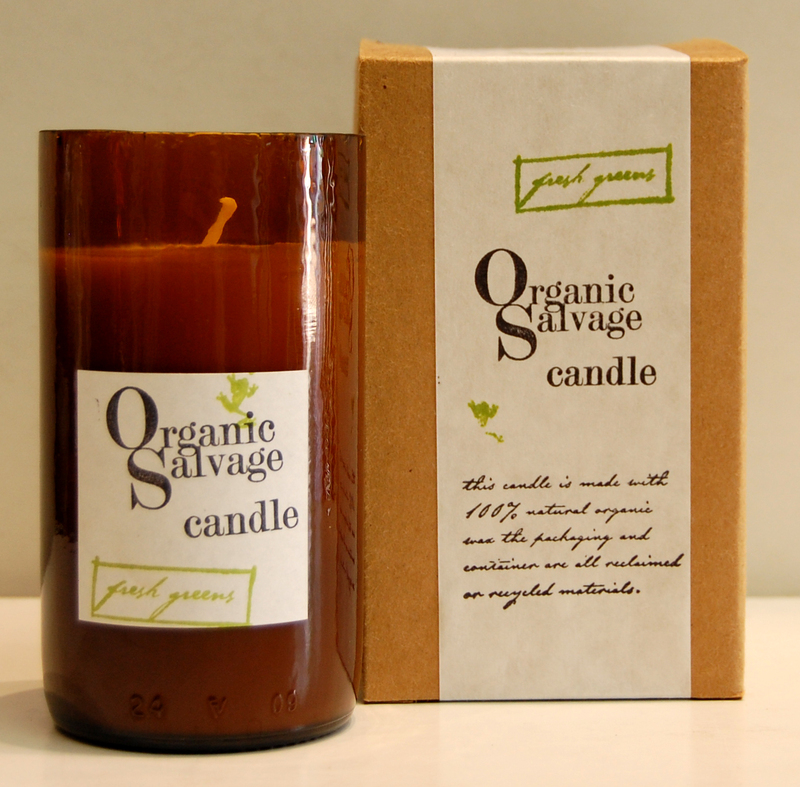 And our Organic Salvage Candles too! Maybe with 100% organic natural wax and poured into reclaimed cut and polished beer bottles. YUMMY scents- $24 each. This one is Fresh Greens, but also comes in Calypso, Meadow, Blossom.